You may live in a safe neighbourhood or even in a gated community, but burglaries can happen to anyone at any time. When a professional burglar targets an area they often spend quite a bit of time watching the activities of locals like when they leave for work and return home. These professionals are well versed and practised in the art of unlocking or breaking the locks and the doors in our houses. Yes, you can purchase and install burglar proof locks and doors, but aside from having guard dogs roaming your property, here are some tips to keep your house safe all the time – even when you are not at home. Installing an alarm system that will safeguard your house and your properties will not only give you peace of mind but these systems can provide some security just by being in place. A burglar would much rather break into an unprotected home rather than deal with an alarm system. Hide all wiring – all burglars and thieves would look for possible ways to cut off all the wires that might set an alarm off or transmit a message to an alarm monitoring company. Even if they are sure it is not an alarm, they would still want to stay undetected. Test the system at least every few months – we cannot guarantee that an alarm monitoring system would not malfunction at times. So when they do, no matter how small the fault may be, have it checked and fixed immediately. Remember to lock your doors every time you go out – no matter how long or short you may be away. If possible, lock up your home even when you are just inside and doing some other things that might distract your attention. So when you are at home but busy cooking in the kitchen or doing some gardening in the backyard, lock your doors and bring the keys with you. You never know how skilled these burglars or intruders are, so it is better to be safe than to be sorry. 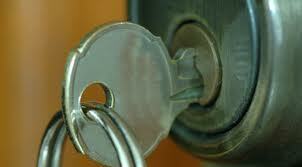 Always change your door locks every time you move into a new house or every time you lose your keys. Also, when having your house cleaned by someone else, make sure that the person you choose is reputable and can really be trusted. Do not trust someone with your keys if you cannot get a referral. 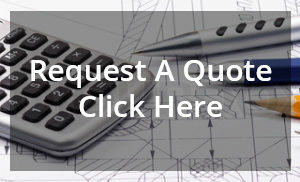 Also ask for professional insurance to be in place to cover any losses you may incur. You can also have timers set for your lights and tv’s/radios when not at home. In that case, anybody, especially burglars and intruders, would think that someone is inside the home, thus hindering them from attempting a break-in. Don’t rely on the spring-latch locks. Have an extra deadbolt lock installed in every door to ensure that it is safe. Sometimes a spring-latch lock is easy to manipulate, especially if there is a big space from the door to the frame. 4. Install sensors on windows and an alarm system that would set off once opened from the outside. Although dogs, no matter what the size, are helpful in guarding your house from intruders and burglars, it is always the best to make sure that the house is indeed safe, and you can do that by remembering the above mentioned tips in safe keeping your house. BAMSS has been in the service for 36 years and has proven themselves as the forerunner in providing the best possible security system solution, CCTV Cameras for your business. With BAMSS,you can be assured that your business and assets are secured. We’re all looking for ways to keep our family and possessions safe and secure, especially inside our own homes. 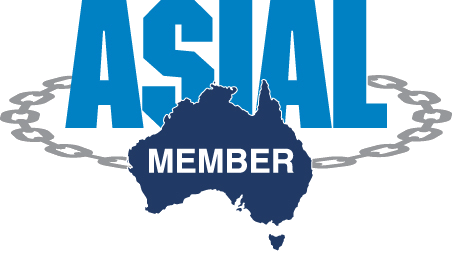 With the ever-increasing rate of break-ins in Brisbane you’ll want to get a consultation and quote from Brisbane Alarm Monitoring Security Services to implement a customised security system in your new or existing home. BAMSS provides smart security tools and solutions that help secure the perimeter of every family’s home. These gadgets can include IP surveillance or security cameras, alarm systems, alarm monitoring, motion sensors, and CCTV systems. Internet protocol (IP) cameras are operated with the use of a computer, a mobile device and the Internet. This can be set up outside homes, for example, in front of the gates, to check who has arrived and who has left the premises. 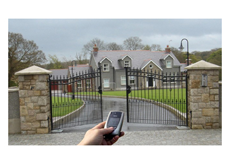 In houses where gates do not exist, IP cameras can be placed outside the doors to check who the person outside is before deciding to let them in or otherwise. IP security cameras can also be installed indoors and set-up to send video updates via live feeds over the internet to a mobile phone or tablet anywhere there is an internet Wi-Fi or wired connection. Alarm systems, on the other hand, provide affordable yet secure protection for family properties. 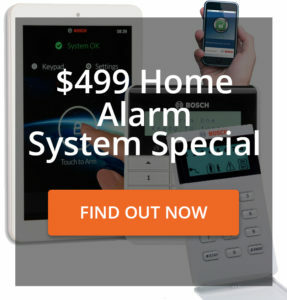 These alarm systems come in a wide range of products which not only gives you the peace of mind you have been longing for but also the savings you have been wanting to achieve. Once intruders enter your premises protected by alarm systems, these gadgets will automatically set off an alarm and let you know that someone or something is trying to get into your premises. Another form of security measures is the alarm monitoring. This kind of monitoring system is connected with a monitoring centre that would give you a call when your alarm goes off. The call would make sure your house and your family is safe. From the name itself, motion sensors record motions either to a video tape or through digital recording. In a home, this can be used to review the motions going on when the family members are sound asleep. This would help double check that no unnecessary or doubtful activities had happened the night before. Motion sensors are attached to other alarm systems that would notify the family members or monitoring centers if any motion is detected. This type of security was once one of the most widely used and most cost effective of providing security for the family. CCTVs are simply and very easy to use but do require fixed cable wiring which can often cost more than the camera itself. You just have to place a camera at strategic areas in your home (or even outside your home, if you wish) and connect it to your home computer or extra television wherein you can check the footage. Aside from the above-mentioned security systems, BAMSS also offers home automation solutions and audio intercom systems to secure your family and your properties. They are committed to providing you and your family the best possible alternative when making sure of your family’s safety through the use of their security monitoring systems.